This site is a collection of my own work. I started producing videos on Latin grammar and ancient culture in 2011, with over a million views. My goal is to make learning Latin easier than it normally is, and to provide students and teachers alike with resources for the 21st century. I have also created hexameter.co, a site devoted to helping students practice scanning lines of ancient hexameter poetry. 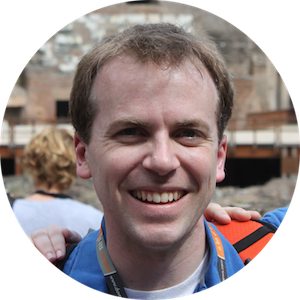 I am Ben Johnson, and I have taught Latin at a public school in Maine for 13 years. I have a bachelor's degree in classics from Cornell University and a master's from the University of Florida. My own interests are broad, ranging from technology to the ancient world. You should be able to see this in the posts on this site. All views expressed on this site are my own, as are all of the videos.